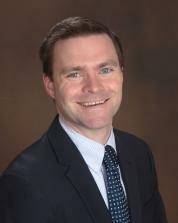 Troy Trygstad is the Vice President of Pharmacy Programs for Community Care of North Carolina. Under his direction at CCNC, the Network Pharmacist program has grown to include more than 80 pharmacists who are involved in a number of diverse activities ranging from patient-level medication reconciliation to practice-level health information technology adoption to network-level management of pharmacy benefits. In addition to serving on multiple advisory panels addressing medication non-adherence, he has co-developed many novel adherence programs and technologies that use multiple types and sources of drug use data to predict, intervene and triage medication management interventions and coaching opportunities. As part of that work, he co-created the PHARMACeHOME platform which captures a community-level drug use narrative with drug therapy problem finding utilities. He also co-created careTRIAGE logistics engine which organizes interventions and interventionists based on predictive models taking into account available resources within a given ecosystem. Both are currently utilized by more than forty distinct licensures, settings and roles, across multiple geographies with more than 4,000 distinct users. He received his PharmD and MBA degrees from Drake University and a PhD in Pharmaceutical Outcomes and Policy from the University of North Carolina. Troy still practices in a community pharmacy setting on nights and weekends. I feel a renewed calling to serve my profession during a period of time of both great opportunity and great peril. I see various factions of the profession vying for their role in a post-health reform era with an occasional disregard for their once-removed colleagues in the broader family of the profession. I find myself often expressing a strategy to various stakeholders within pharmacy that we ought to be focused on "growing the pie", not fighting over pieces of a very small pie. Simultaneously, I see great opportunity for pharmacists with advances in drug therapies and a broader movement to accountable care and pay for value. These concepts will dominate the lexicon for the foreseeable future and the Foundation should play an influential role in shaping their development in the larger sphere of policy and action if it positions itself well. In short, I believe it is essential for a healthy, vibrant and financially robust Foundation to exist that advances (simultaneously) both the profession and the optimization of medication use and delivery at large. If elected as a Foundation Board Member, I would have strong interests in working to achieve: 1) Foundation Sustainability 2) Increasing Foundation influence in policy circles.